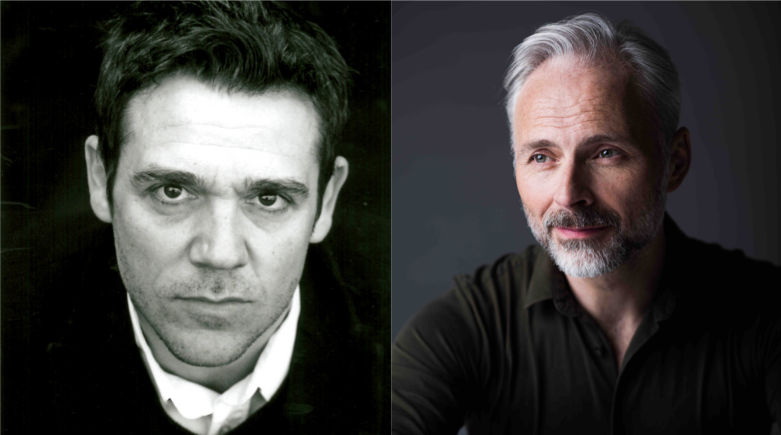 Expectation and Happy Tramp North have secured a four-part series, Guilt, written by Neil Forsyth (Eric, Ernie and Me, Bob Servant), directed by Robbie McKillop (Cleaning Up, Clique) and starring Mark Bonnar (Catastrophe, Line of Duty and Unforgotten) and Jamie Sives (Chernobyl, Frontier & Game of Thrones), for BBC Scotland and BBC Two. Set in Edinburgh, Guilt is a stylish, contemporary drama with riveting plot twists and a strong vein of black humour throughout. The story follows two disparate Scottish brothers Max (Bonnar) and Jake (Sives) who, while driving home from a wedding together one night, accidentally run over and kill an old man on a darkened street. After making the panicked decision to cover their tracks, the brothers seem to get away with their crime. However, as neighbours and relatives of the dead man begin to suspect his death wasn’t as innocent as it initially seemed, the brothers find their lives rapidly falling apart as their actions begin to catch up with them. Their increasingly desperate attempts to conceal their guilt lead them further into a world where everyone seems to have a hidden agenda and they discover they can trust no-one, ultimately including each other. Guilt will be co-produced by Expectation and Happy Tramp North. Written by Neil Forsyth and directed by Robbie McKillop the Executive Producers are Kirstie Macdonald for Expectation and Neil Webster for Happy Tramp North. Commissioned by Shane Allen, Controller Comedy Commissioning, Steve Carson, Head of Multi-Platform Commissioning BBC Scotland and Patrick Holland, Controller BBC Two. The Commissioning Executives for the BBC are Gregor Sharp and Gavin Smith. The series will premiere on BBC Scotland’s digital channel and follow on BBC Two later this year. 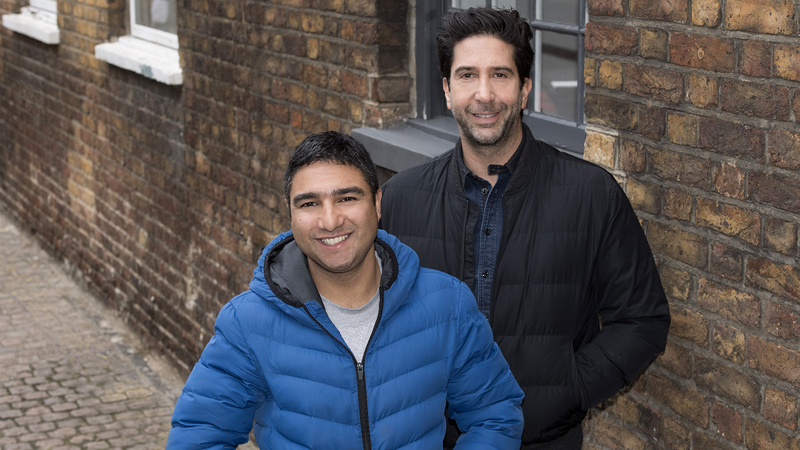 A six-part comedy series for Sky One starring David Schwimmer and Nick Mohammed. Commissioned by Sky One’s Head of Comedy, Jon Mountague, the six-part series is a workplace comedy series based in Cheltenham and set in the UK’s highly regarded Government Communications Headquarters. When a power-hungry, maverick National Security Agent (Schwimmer) comes over to join an inept and tactless computer analyst (Mohammed) and a newly-formed team tackling cybercrime, everything they know is shaken up. Schwimmer (Friends and American Crime Story: The People v. OJ Simpson) will star and executive produce the series which is a co-production with Dark Harbor Stories while Mohammed (The Martian and Christopher Robin) will write, star and also executive produce. Nerys Evans, Expectation’s Creative Director, Comedy, said: “Even though the stakes are really high for the team, fighting cyber-crime, our six-part comedy series reveals the reality is not dissimilar to any other office environment, from temperamental photocopiers to meeting rooms being double booked. 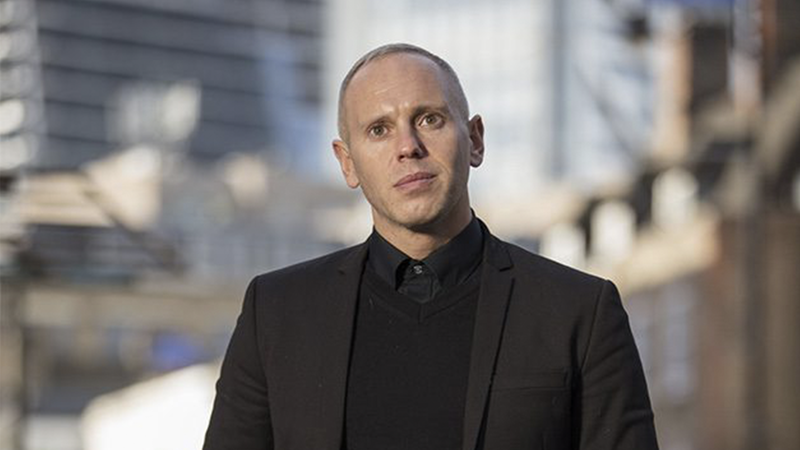 In this end of year review show, Rob Rinder casts an unflinching eye, razor sharp legal mind and acerbic tongue over the events of 2018 to judge once and for all whether the year will be chalked up as being a ‘good’ or ‘bad’ one. With the help of celebrity guests, Rob will delve deep into all the news stories, people and talking points of the year. Uncompromising, perceptive and funny, Rob will make us all reconsider what we previously thought about 2018 with a fresh take on the big issues while also bringing us the hilarious tiny details we’ve already forgotten in our post-Christmas booze haze. Psychotherapist and author Stella O’Malley reflects on the huge rise in numbers of young people embarking on gender transition, through the prism of her own lived experience as a child with gender identity issues. As a child in the 70’s and 80’s, Stella was convinced she should be a boy, but is now a married woman with two children. She examines how the experiences and options open to transgender children today compare with her own childhood, and asks what person she might now be, had these choices been available to her. There has been a 2,500% increase in the number of children and young people being referred to the NHS’s gender identity service over the last nine years. Stella meets some of these young people to understand their personal journeys, as well as academics and parents trying to support their children and navigate the system. In asking frank questions about the best way to support children who want to transition, Stella also discovers not everyone thinks it’s a topic for discussion. It’s 30 years since Lemn left the care system and he believes that not enough has changed for these young people. So together, by putting on an epic performance for a packed theatre of decision-makers, they seek to change the way we see kids in care, and how they see themselves. Superkids: Breaking Away from Care is a provocative and uplifting film, which challenges our prejudices in a profound and surprising way. Along the way, the brigade will live and work together as they attempt to demonstrate the necessary skills and techniques required by Jason’s exacting standards to keep their place in the face of stiff competition, at any time they can be replaced with a reserve Brigade member at Jason’s discretion. Under the guidance of Jason the brigade will aim to become a tight knit team capable of competing with the world’s best. Channel 4 has commissioned a brand new comedy entertainment series fronted by comedian Mo Gilligan following his hugely successful Coupla Cans UK tour and highly praised co-hosting skills on The Big Narstie Show. In the new 6-part series from Expectation and Momo G Ltd, Mo will present his own entertainment show built around his stand up, strands and sketches, filmed in front of a studio audience. The series will launch next year. 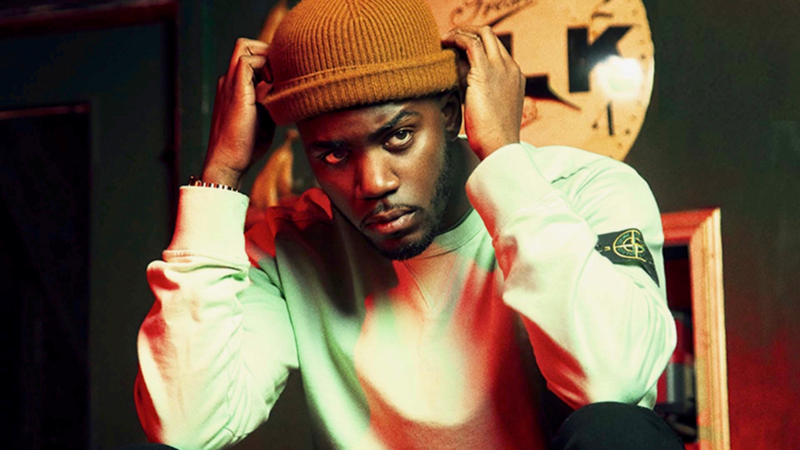 With his high-energy style and stunning physicality, Mo has already achieved phenomenal success online, creating his own short form comedy content across a range of platforms with huge viewer engagement. His sketches regularly go viral, trend and are endorsed by some of the most famous names in international music including Drake and Stormzy. Recently named The Funniest Man in Britain by The Times, Mo’s debut live stand up tour has smashed all records selling over 30,000 tickets, with numerous dates selling out in minutes. This new series will harness some of these sketches as well as fun with celebrity guests in a variety of different comedy strands including Mo’s hot takes on pop culture. Syeda Irtizaali, Commissioning Editor at Channel 4, adds “It was such a joy working with Mo on the first series of The Big Narstie Show. He’s a brilliant comedian and a total pro, we’re really excited to see what he brings to the table for his first solo outing. The show commissioned for Channel 4 by Ed Havard, Head of Entertainment with Syeda Irtizaali, Commissioning Editor, Entertainment and Becky Cadman, Commissioning Editor for Factual Entertainment. It will be executive produced by Ben Wicks for Expectation and will be co-produced by Mo Gilligan’s own company Momo G.
Following a successful first outing, Channel 4 has commissioned a Christmas special and a brand new series of The Big Narstie Show, the alternative late night anarchic entertainment show presented by Grime musician Big Narstie and stand-up comedian Mo Gilligan. The studio series, from Expectation and Dice Productions Entertainment, will feature more celebrity guests and musical performances alongside straight-talking segments on the news of the week, TV, showbiz, trends and food and laugh out loud sketches. With the Christmas Special featuring all that plus some added Christmas flavour and plenty of festive surprises. 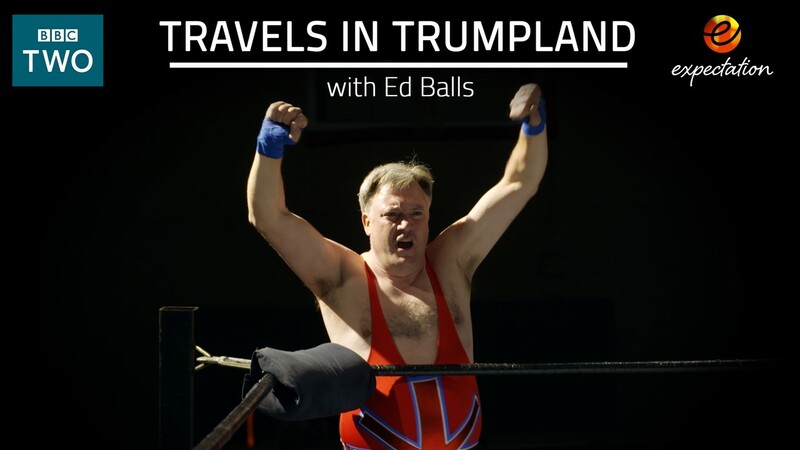 In this surprising and entertaining new series for BBC Two, have-a-go hero Ed travelled to the heart of Trumpland, America’s Deep South, to immerse himself in the lives of those who put Trump in power, and learn how this reality TV businessman won them over. In the same week that Donald Trump became leader of the free world, Ed Balls’ salsa to Gangnam Style took the country by storm. As entertainment heavyweight Trump, was moving into politics, Ed was making the same journey in reverse. Ed walks a mile in the shoes of those he meets – whether it’s Confederate flag-flying rednecks, Trump’s newly empowered immigration officers, victims of the Parkland school shooting, or the President’s inner circle of millionaire friends – to find out if they think Trump is delivering on his promises to fix America, despite the chaos and controversies of his administration so far. A long way from home and his own politics, Ed is determined to find out how Trump tapped into the US psyche and what his popularity tells us about today’s American values. At the tender age of 46, multi award-winning stand-up comedian Bridget Christie is making her much anticipated debut television pilot for Channel 4. 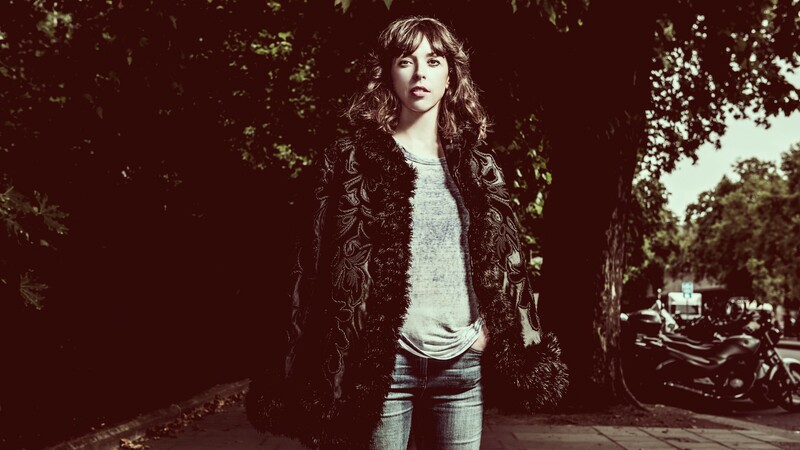 The Bridget Christie Television Programme is a 30-minute show, produced by Expectation which will see Bridget look at the state of the world in an innovative format that takes in stand-up, monologues, sketches and reinvented archive. Expectation has been commissioned by BBC 3 to produce it’s first scripted comedy slice, In My Skin. Written by rising screenwriting star Kayleigh Llewellyn, In My Skin is a darkly comic, coming of age story about Bethan Gwyndaf, a 16-year-old girl who tells a lot of lies. The one-off slice gives a raw and accurate portrayal of growing up in Wales today, holding up a mirror to the state of the nation. There’s heartache, and laughs, and shame, and sometimes an almost too-hard-to-look quality as we revisit the pain of adolescence. 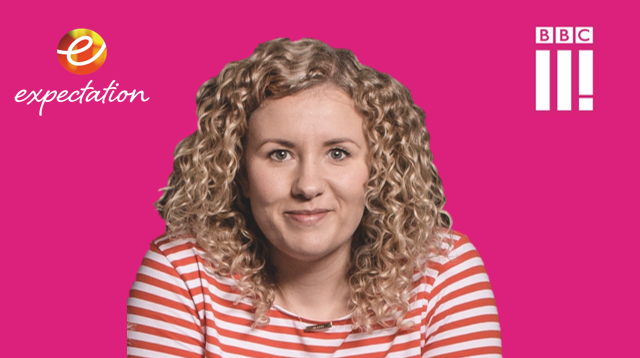 Kayleigh Llewellyn’s career began when she won the BAFTA Rocliffe New Comedy Writing award in 2012 with Matthew Barry. Since then she has been named as a Broadcast Hot Shot and in 2016 she was selected as one of six LGBTQ filmmakers for the BFI Flare Mentorship Programme where she is being mentored by Abi Morgan. Kayleigh is currently writing Americons for Sky1 with Catherine Tate, which will star Catherine alongside David Tennant. 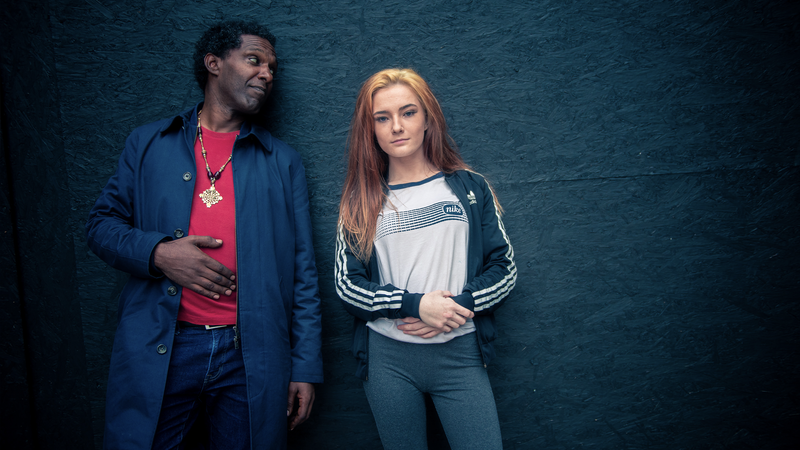 Kayleigh also has two original projects in development with Bad Wolf in the UK and the US, and a comedy series in development with Abi Morgan’s production company Little Chick and 42. Kayleigh’s other credits include writing on Stella (Sky1) and Casualty (BBC1), and her short film Oh-Be-Joyful has screened at film festivals around the world and won numerous awards. 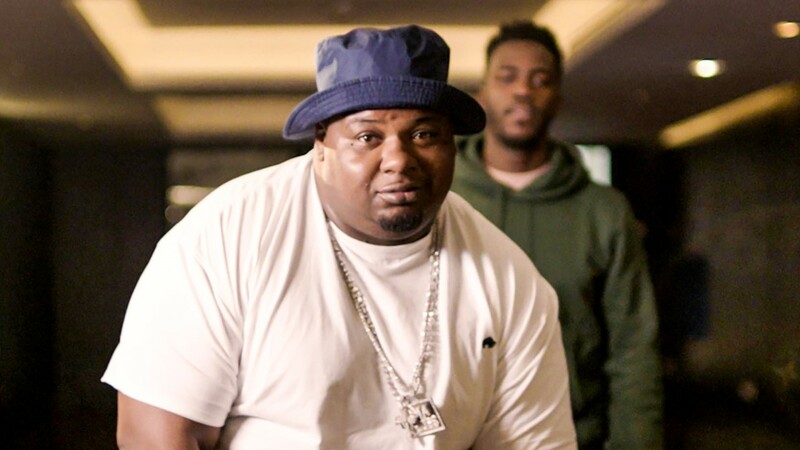 The first series of The Big Narstie Show aired on Channel 4 this summer. Hosted by grime artist Big Narstie and co-host Mo Gilligan AKA Mo the Comedian, the show blended celebrity guest chats with straight-talking segments on the news of the week, TV, showbiz, trends, and food. 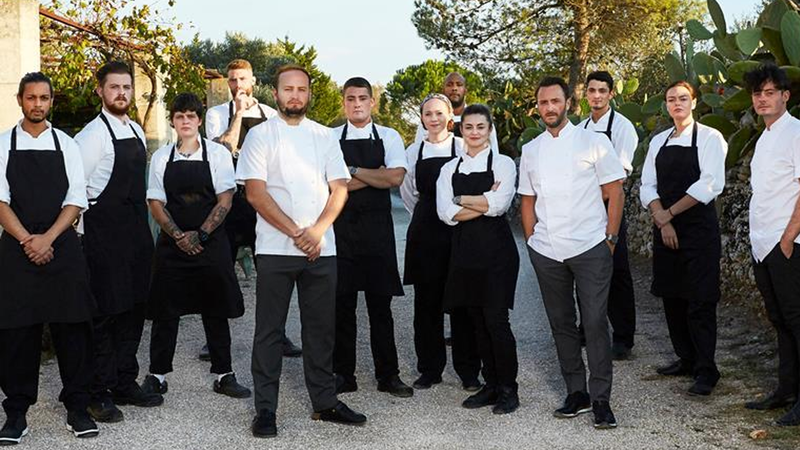 Made by Expectation and Dice Productions, the six-part series was commissioned following a successful pilot filmed earlier this year. 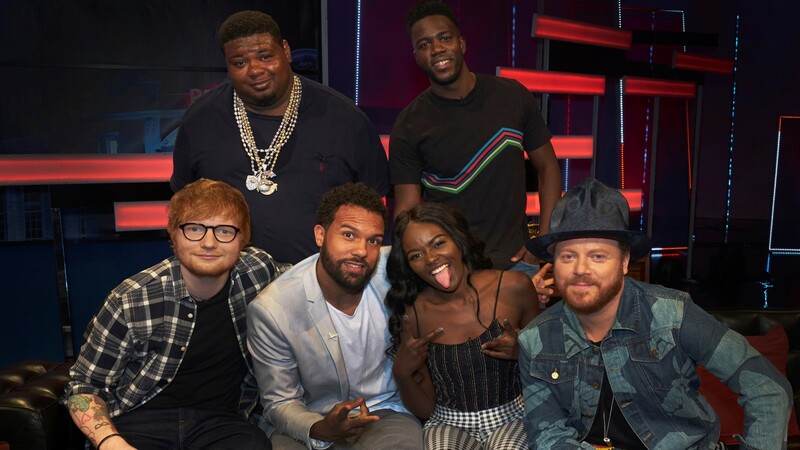 Guests across the series included Ed Sheeran, David Schwimmer, Thandie Newton, Richard Ayoade, Craig David, Not3s, Giggs, Krept and Konan and Lady Leshurr. 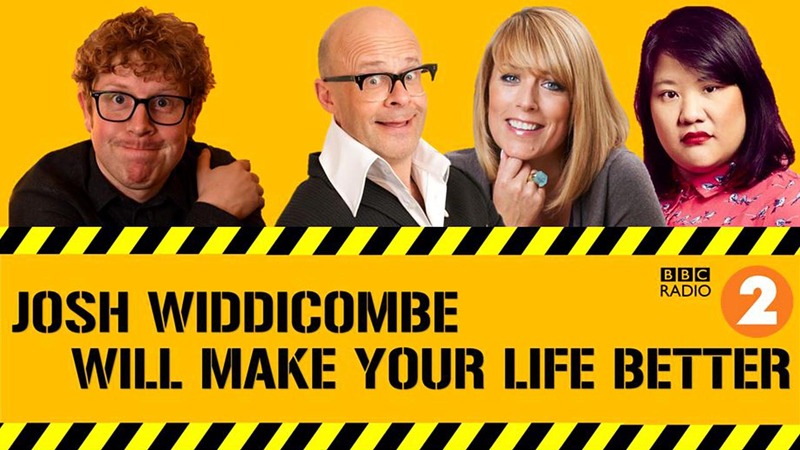 Josh Widdicombe Will Make Your Life Better was Expectation’s radio debut. The show, that was part of Radio 2’s Funny Fortnight pilots, asks celebrity guests to pitch inventions and ideas that they believe will make all our lives better. Josh’s guests were comedians Harry Hill and Evelyn Mok, and actor Fay Ripley. In the show, Josh picks his favourite innovation from our guests offerings with the help of his experts: 19-year-old self-made millionaire Akshay Ruparelia and Fellow of the Institution of Mechanical Engineers and problem solver Dr Lucy Rogers. Between Josh, his guests, his experts and his dedicated focus group – also known as the studio audience – he troubleshoots, critiques and analyses each idea potentially turning an awful invention into a great one. It’s the show that believes there is no such thing as a bad idea. Although some of the guests seemingly do their best to disprove that notion. In one of his last ever TV appearances, the late, great Dale Winton packed his bags, flew across the pond and set off on a magical road trip around his favourite place in America: Florida. His 1500 mile journey took him everywhere wild, weird and wonderful that the sunshine state has to offer. 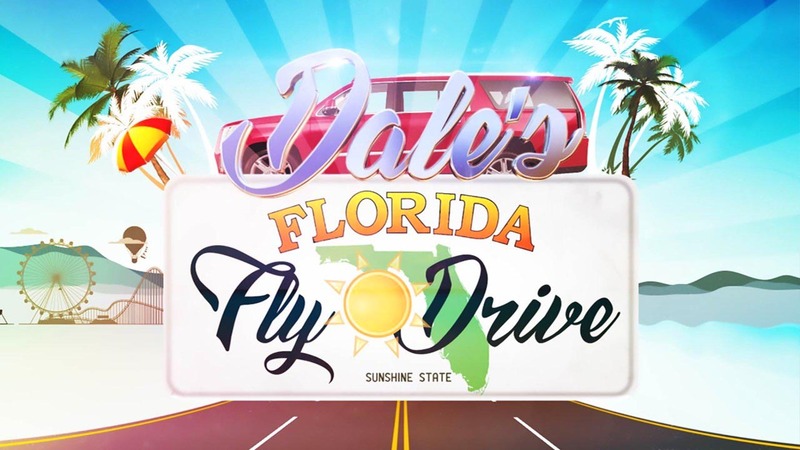 From the magic of Disney World to the ‘gator infested swamps of the Everglades, from psychic readings in the ‘Spiritual Capital of America’, Cassadaga, to hanging out with the Bodies Beautiful on Muscle Beach, Miami – Dale put his own, charming, unique spin on one of America’s great tourist destinations. 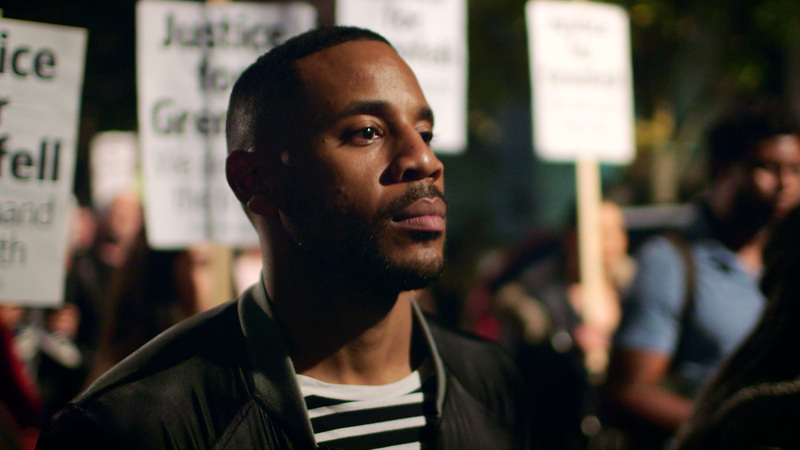 Reggie Yates meets people whose lives have been devastated by the Grenfell fire, as he sets out to tell the story of the disaster from the perspective of those who lived and died in the tower. With a police investigation and public inquiry examining how and why it happened, Reggie takes a step back to ask who were those people before they became victims of one of Britain’s deadliest fire. His journey begins at the memorial wall near the base of the tower. It is a community shrine plastered with the faces of missing people. He begins to piece together some of the stories of those commemorated and as the weeks go on, more of them are officially confirmed dead, until the final death toll stands at seventy-one. Through families and friends Reggie learns about some of the individuals who lost their lives: a young British Moroccan, Yasin El-Wahabi, who was believed to have run back into the tower to save his family; a Filipino woman, Ligaya Moore, whose niece arrives in London to get answers about how her aunt died; a Syrian man, Omar Alhaj Ali, who escaped war with his brother only to see him die in the fire; Tony Disson, a well-known local figure whose family had lived in the area for generations; a 12 year old girl, Jessica Urbano Ramirez, who was one of 18 children to lose their lives. 1 x 60’ for BBC. 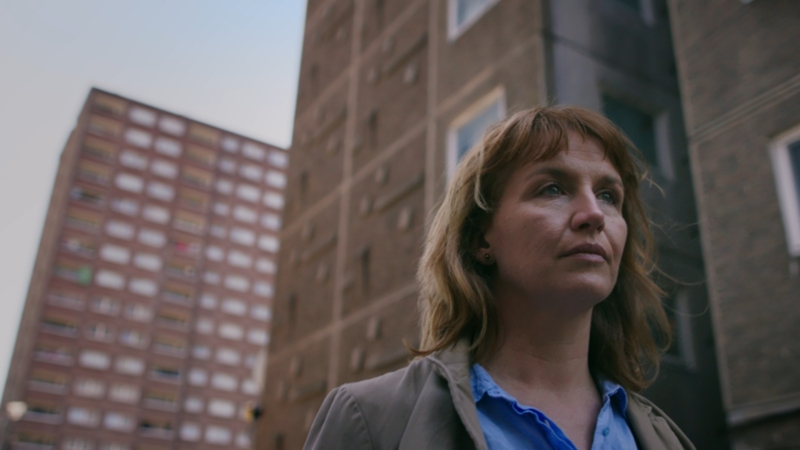 Game4Grenfell was produced for Sky at breakneck speed: around one month from commission to transmission. Turning the match organised by QPR, Marcus Mumford and Ferdie Unger Hamilton of Columbia Records into a four hour and half hour TV marathon broadcast. It involved choreographing and booking around 60 celebrities and Ex-Pros including Jose Mourinho, Jamie Dornan, Damian Lewis, Sir Mo Farah, Wretch 32, Jarvis Cocker, Russell Howard, Lee Mack, Olly Murs, Tinie Tempah as well as fire fighters who had attended the blaze and survivors from the tragedy. There were also celebrity commentators and pundits Matt Lucas, Ian Wright, Alan Davies, and host Adam Hills as well as half-time music performances from Marcus Mumford, Rita Ora, Emeli Sande; and special guests Cheryl Cole, Roy Hodgson, Helen McCrory. 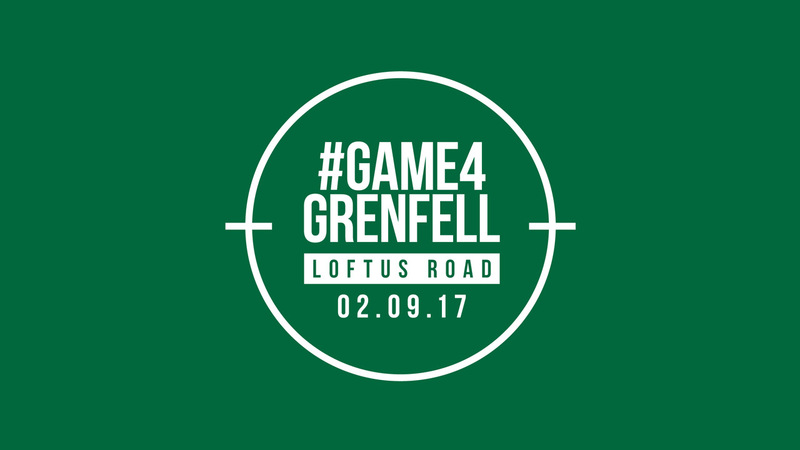 The 90 minute football match took place at QPR’s Loftus Road, a stones throw from the scene of the Grenfell tower fire. The coverage included several moving appeal films that were researched and recorded for the show. These dealt with extremely harrowing subject matter and required the highest levels of sensitivity with the contributors. These films proved remarkably effective in getting viewers to donate. As did some more leftfield comedic methods, such as encouraging viewers to give generously when they spot certain things happening during the game. Be that a goal, or Paul Merson eating a cake on the bench. Adam Hills along with commentators Matt Lucas and Joe Speight did an incredible job of encouraging people to donate. All of this helped the total raised by the Game4Grenfell for the victims and local community organisations reach around the million pound mark. The 4 and a half hour transmission took time to carefully tell the personal stories of those closest to the tragedy and in the case of one player, surviver Shahin Sedafi airing his awe inispiring pre match team talk. This meant that everything was set up perfectly so that when there was a little bit of magic – with Shahin scoring a penalty past Jose Mourinho in the deciding penalty shoot out – every viewer knew exactly how much that moment meant to Shahin and the delighted members of the local community who were losing their minds in the terraces. With Jose, a man with a long association with QPR rivals Chelsea, revelling in his role of pantomime villain. 1 x 210’ for Sky One. 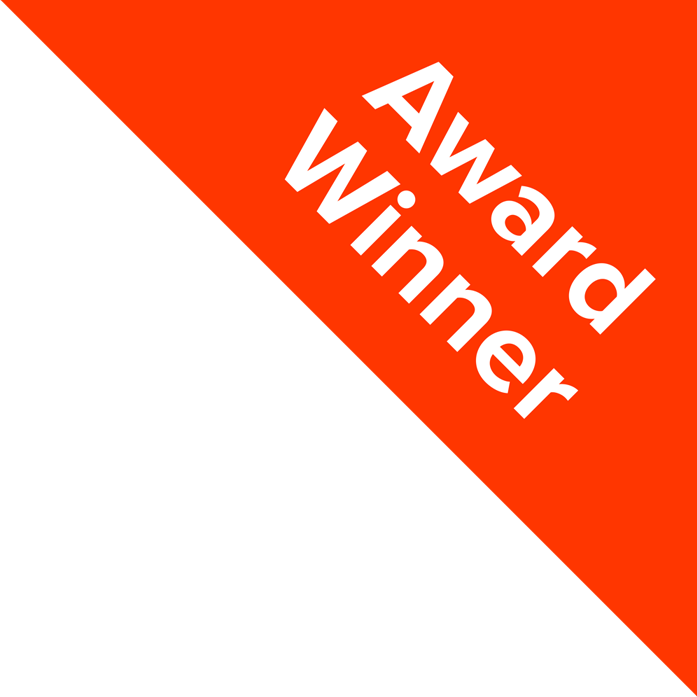 WINNER : The Big Narstie Show wins the award for best Entertainment Performance: Big Narstie and Mo Gilligan at the Royal Television Society Awards 2019.